July 19, the 145th court hearing on the case of Deputy Chairman of the Mejlis of the Crimean Tatar people Akhtem Chiyhoz was held in Crimea. The Kremlin-controlled Supreme Court of the Crimea refused to grant the defense's request to investigate the computer and technical expertise of the DVR seized during the search of Akhtem Chiyhoz, Deputy Chairman of the Mejlis of the Crimean Tatar people, lawyer Nikolai Polozov said after the morning session of the court. “The court refused to grant an application for a computer-technical examination of the DVR seized during the search of Akhtem Chyigoz's house, which contains no information about the actions Chiygoz is accused of, in particular those aimed at the presence of objects for the use of violence, gathering of people for a mass event, which the prosecution alleges he did to organize a mass disorder. This examination would reveal that the accusation in this part is not confirmed, but the prosecutor strongly opposed. Apparently, before the arrest of Akhtem Chiygoz, the employees of security forces came to Chiygoz’s house and destroyed video files, but the court refused to investigate these circumstances,” Polozov said. He also said that the materials of forensic medical examinations presented in court, contain significant violations. “The materials on the victim Soloviev clearly stated that the place where he was injured is different from the scene of the crime indicated in the charge. A number of other victims indicated that they applied for medical assistance on other days after the indicated events. The causal link between their presence in the place of mass events and injuries is absolutely not confirmed,” the lawyer said. According to Nikolai Polozov, the merchandising expertise to estimate the losses from damage caused to the property of the Supreme Council of the ARC during the events of February 26, 2014, is also untruthful. “It turned out that a large amount of furniture had 100% depreciation. In fact, these items could no longer be used. They were counted at cost and later the amount of 9730 rubles paid by the convicted Nebiev was falsified. The expert herself did not see those items, the investigation did not represent them to her. Registration was based on the inventory records only. The items did not have any individual numbers. We can say that the examination was created out of thin air,” he concluded. 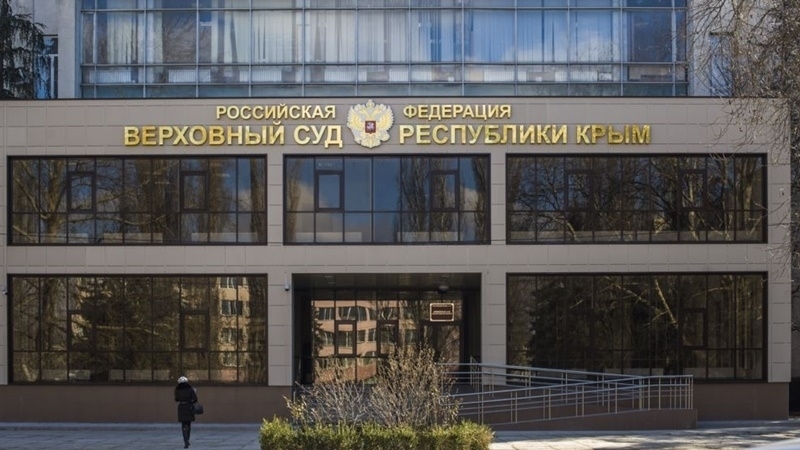 The Kremlin-controlled Supreme Court of the annexed Crimea at the meeting on June 22 extended Akhem Chyigoz's arrest for another three months, that is, until October 8.